Statesman reports that Apple will be opening a "pop up" store at the South by Southwest (SXSW) conference in Austin, Texas this Friday. Wilemon said the deal for Apple's popup, or temporary, store came together quickly. 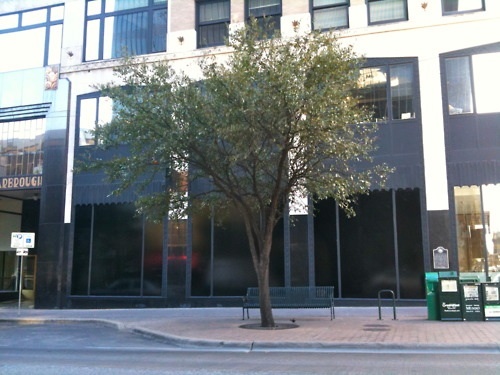 He said an Apple real estate representative notified him Monday that the company had settled on Sixth and Congress for the location. "They came in town on Monday, did a quick tour, found a spot, and they're in there working and will open by Friday," Wilemon said. "We would have loved to have had them" in the Second Street District. "They're just a great draw." The store will be timed alongside both the start of the SXSW conference as well as the iPad 2 launch. SXSW conference covers film, music and interactive media.